Maya 2016 x64 by Autodesk Inc. - download in one click. Virus free. 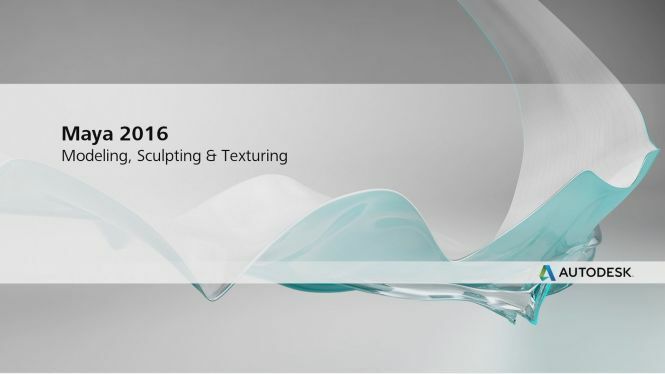 Download the latest version of Autodesk Maya 2016 with just one click, without registration. It comes with a safe official full installer for Windows. Engineers, architects, artists, and people of other professions that are interested in performing 3D animation, modeling, and simulation will find Autodesk Maya, a new-generation animation product by Autodesk, Inc., an amazingly powerful computer graphics toolset; which, by the way, can be easily installed on different operating systems: Windows, OS X, and Linux. The Autodesk's new program gets its name from the Sanskrit language, where the word "Maya" means “illusion”. Thus, Autodesk Maya as a software application is designed to create 3D animations as real as possible. Most experts even call Autodesk Maya the standard of 3D animation and it's being proven by the program's huge popularity. 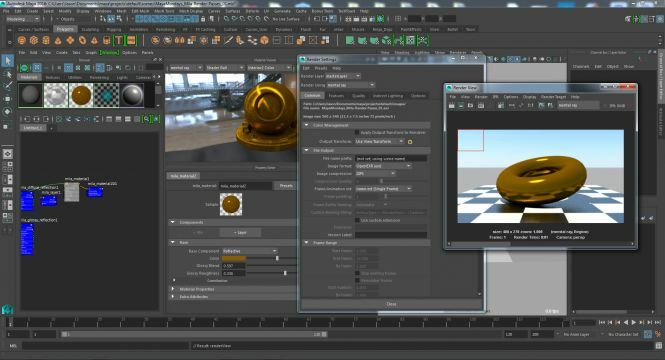 Autodesk Maya 2016, in comparison to its previous versions, gets nice artist-friendly tools and more performance improvements. In general, its new features complete each of the following software categories: 3D animation (1), 3D modeling (2), 3D rendering and imaging (3), dynamics and effects (4), pipeline integration (5). 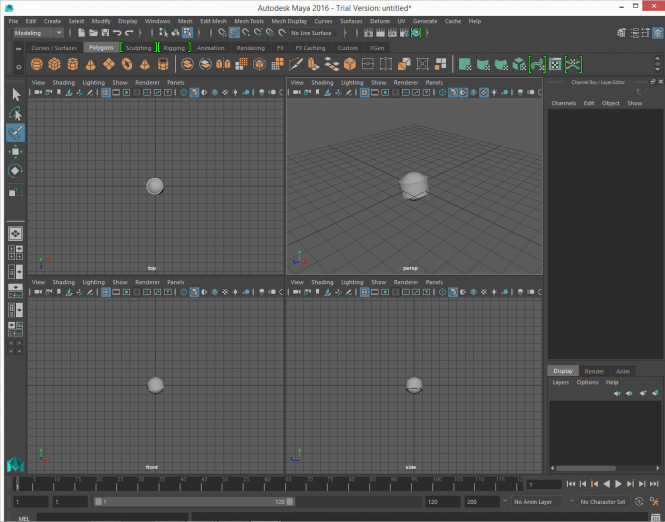 Being renewed, each group offers the Autodesk Maya 2016 users a more challenging animation experience. Now, let's me bore precise about the new options. In 3D Animation section a user can test a new system of parallel rig evaluation that enables speed acceleration of the rig playback. Also, he or she can enjoy the feature of Delta Mush deformer which is set to make the deformation results correspond to original geometry as much as possible. Users that are proficient in 3D modeling will find new options appeared in this category very handy. For example, a new sculpting toolset, which sculpts and shapes models more accurate; or an enhanced tool for symmetry modeling that makes your 3D objects naturally symmetrical. In 3D Rendering And Imaging section a user can make use of improved color management and hypershade work. Five major updates come in Dynamics And Effects group of tools: a faster XGen (the geometry instance gets better workflow and preview options), a foam in Bifrost (froth, foam, and bubbles are adaptive to liquid simulations), an Aero solver in Bifrost (added atmospheric effects, such as fog, smoke, dust), the guided simulation in Bifrost (added the control of liquids), and the deep fluid simulation (simulates high-level details). The pipeline integration in Maya 2016 has preserved the features from the previous versions. Realistic fluid effects: beautiful and non-elastic fluids. Classic Cloth: a flexible cloth system. Fur effects: short hairs and hair-like materials. nHair: hair and per-hair collisions. Camera Sequencer: multiple camera shots management. Surface modeling: mathematically smooth surfaces. Toon Shader: an ability to make cartoons. Thanks for providing with Autodesk Maya. AutoCAD Electrical x64 x86 by Autodesk Inc.